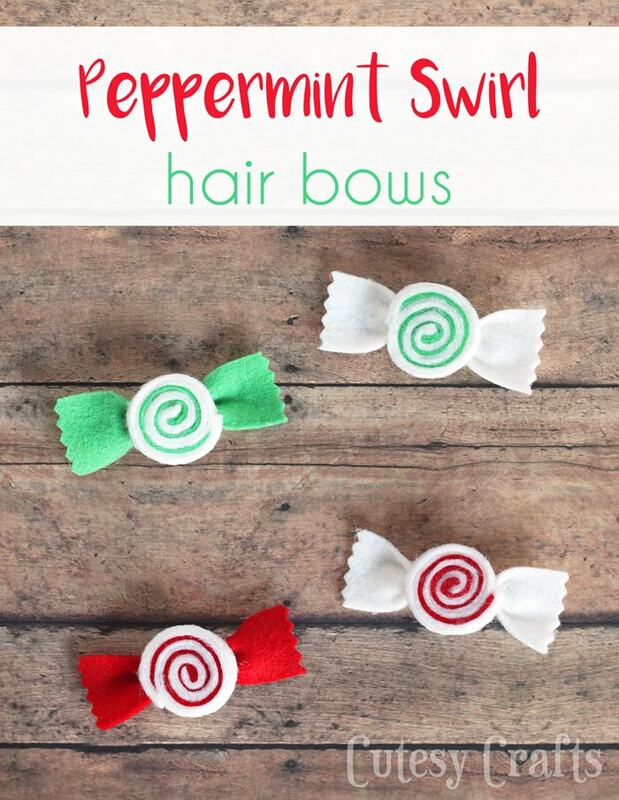 I love making felt hair clips for my girls, so today I’ve got a peppermint swirl hair bow tutorial to share with you all. Don’t they look good enough to eat?! I put them in the candy bowl and fooled my husband for a second. Haha! 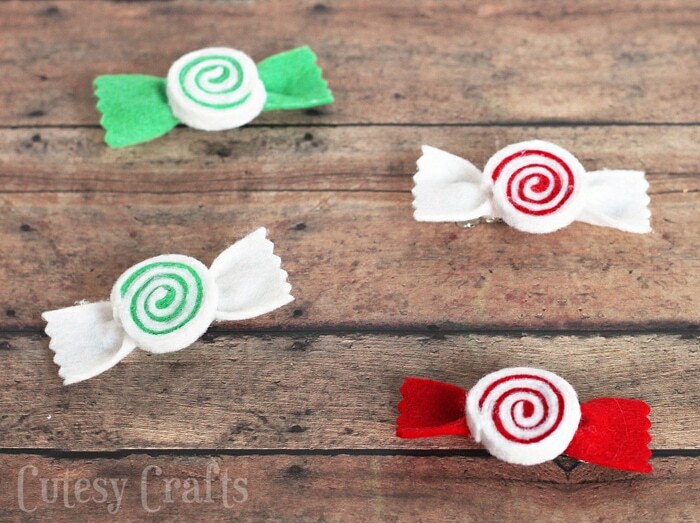 These are really easy to make, and they don’t require any sewing skills at all! All you need are some felt scraps, a hair clip, and a hot glue gun, and you’ve got yourself some adorable holiday hair bows. 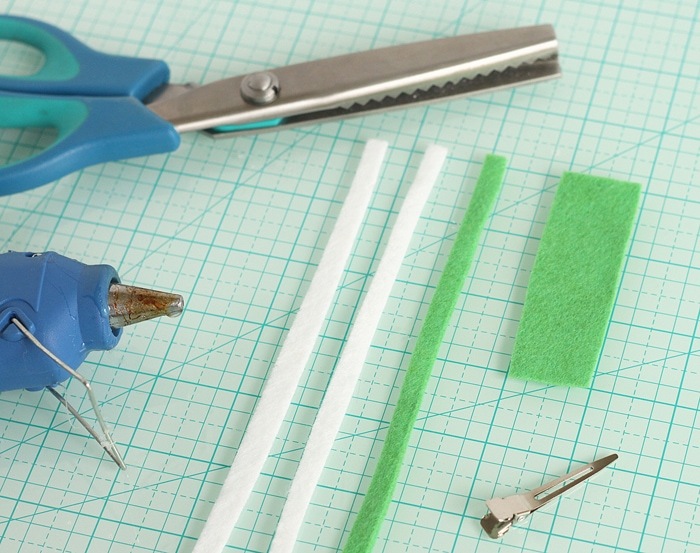 First, place your two white strips on top of the colored strip and hot glue all of the layers together at one end. Start to roll the felt toward the colored strip. This way it will end up on the inside. 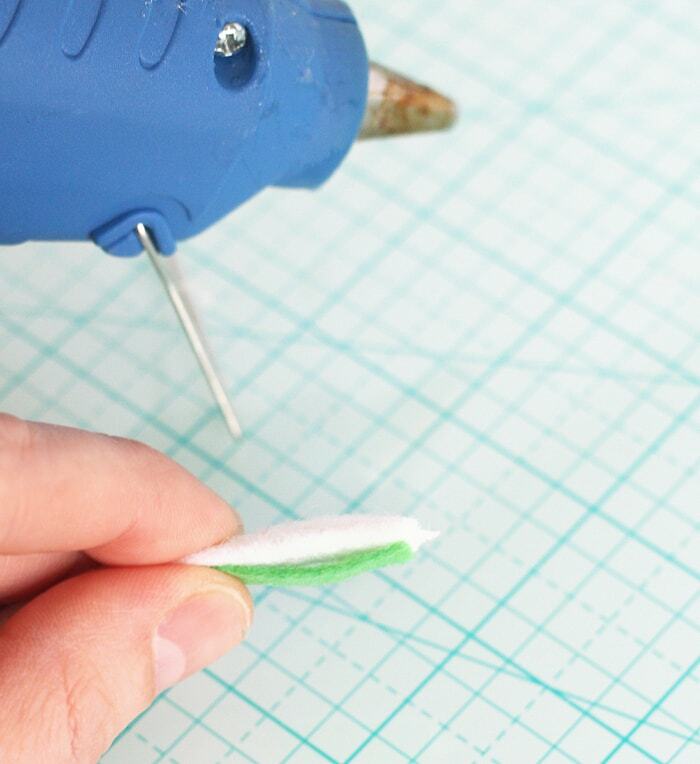 Separate each layer, securing with little bits of hot glue as you go. Keep rolling and gluing until the roll is about 1 inch across. The strips will be uneven at the end, and that’s fine. Cut off the excess, keeping the outermost white strip slightly longer than the other two strips. Give all three of the strips some final glue at the end. 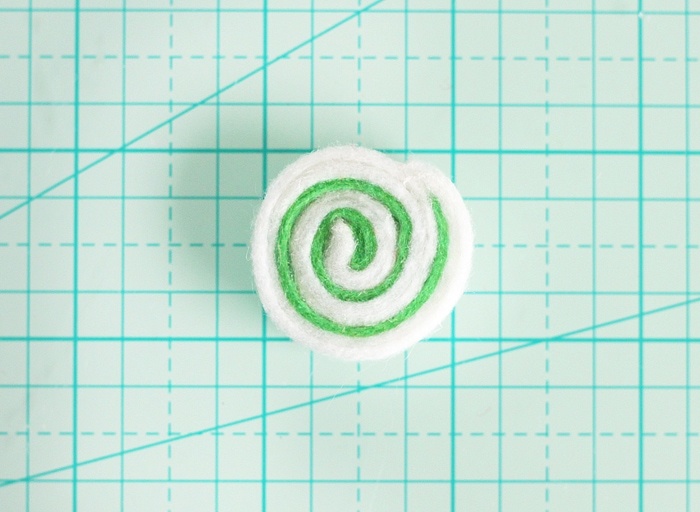 Keeping the outermost white strip a little longer makes it look more tapered instead of just stopping the swirl abruptly. 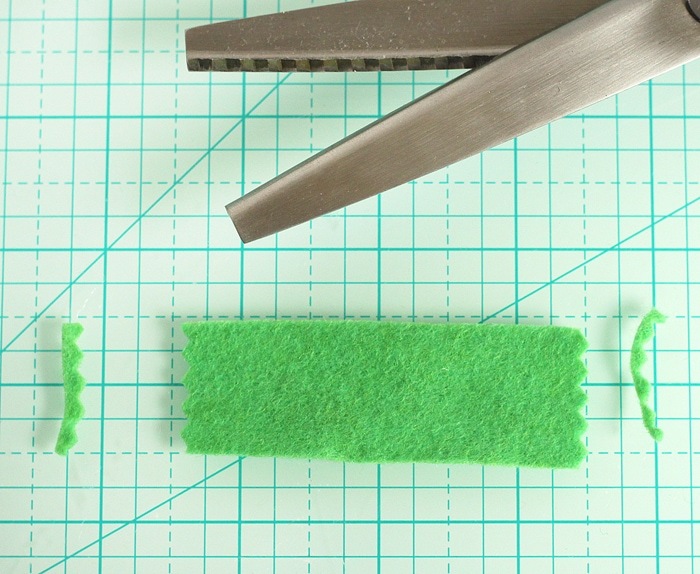 Use some pinking shears to cut both short ends of the rectangle to make the wrapper. 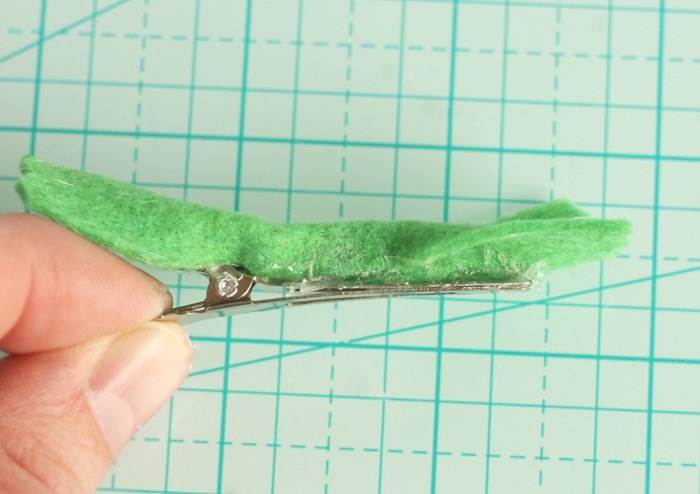 If you don’t have pinking shears, you can just make some small cuts with your scissors. 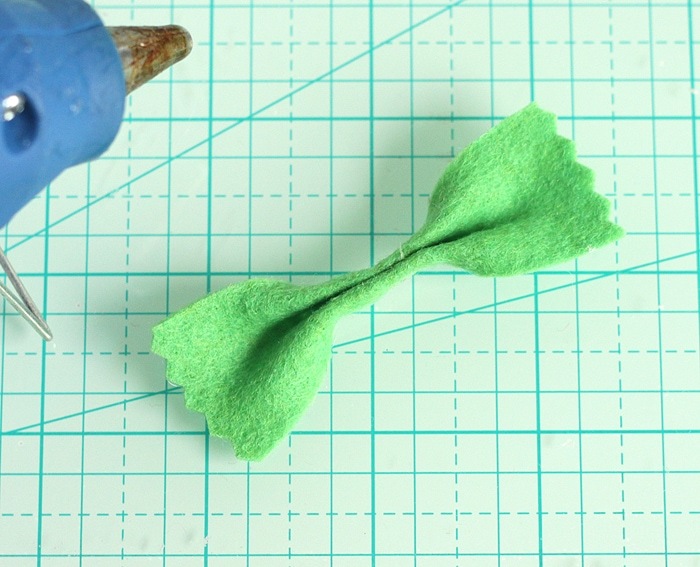 Pinch the rectangle in the middle, like in the photo below, to make a bow shape. Use hot glue to secure it. Hot glue the bow to the top of your clip. Just be careful you don’t glue the clip shut! 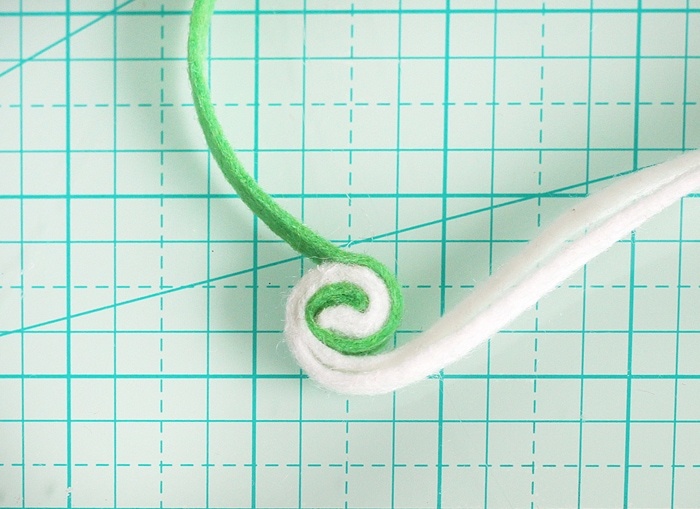 If you want, you can also line the clip with ribbon before you glue the bow on. 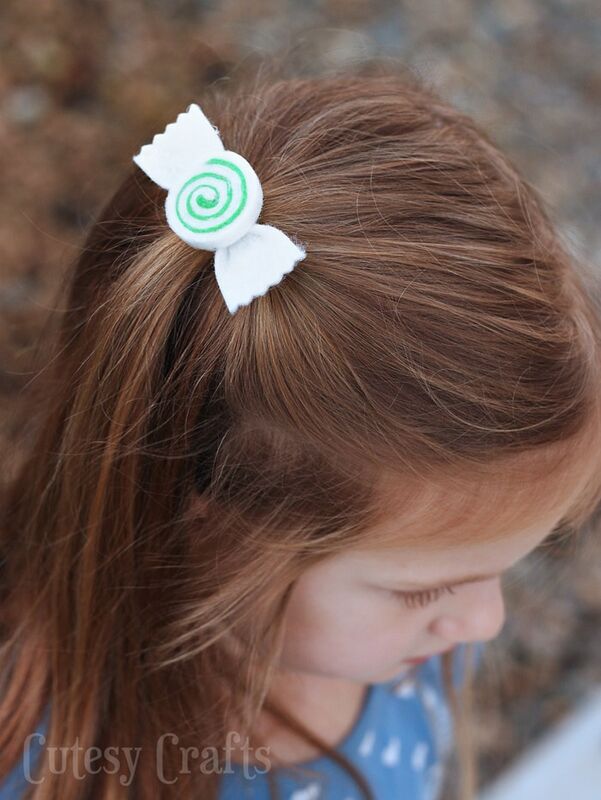 Glue the swirl to the top of the bow, and you’ve got a cute little peppermint swirl hair clip! My girls love wearing these even when it’s not Christmastime! 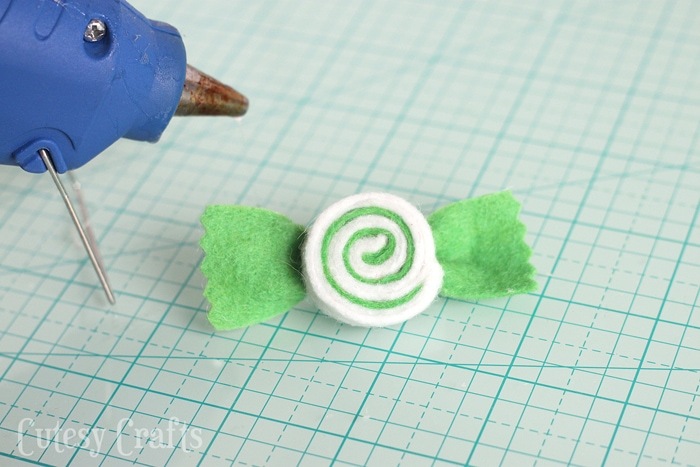 Hope you enjoyed this hair bow tutorial! 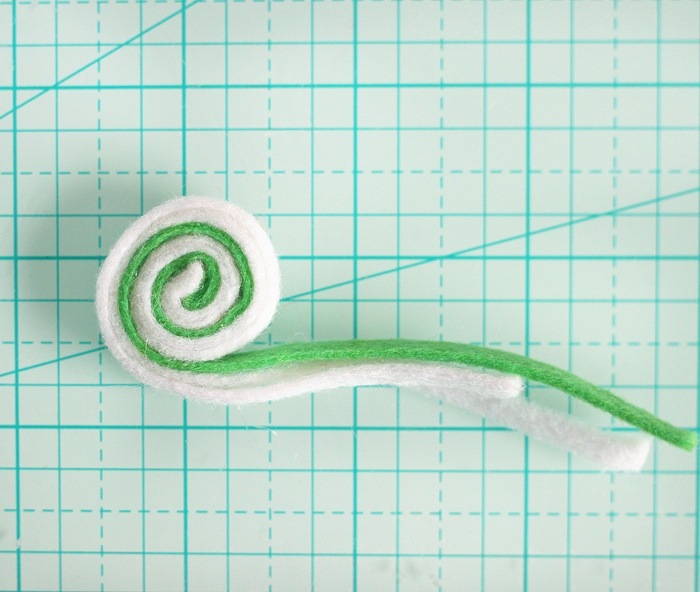 For more cute felt crafts click here. I love this idea!! Now I’m wondering where I could buy some hair clips. These would be cute package tie-ons or tree decorations. Thanks again. Thanks Kate! What a great idea! I got mine at the craft store in the jewelry sections. You should be able to find them there or online.